Microsoft has officially launched the Cortana for Android public beta today, giving Android device owners the chance to test out Microsoft's Halo-inspired virtual assistant. Cortana has been an exclusive to Windows Phone for some time now, and this marks the first time a virtual assistant program has officially been adapted for a rival OS. The company had announced it would release a dedicated Cortana app for iOS and Android back in May, however, the Android version had managed to leak in July. Now, with the official beta, Cortana on Android will see similar features as it does on Windows Phones, but also including the ability to have Cortana replace Google Now when you press the Home button on an Android device. Other features include tracking events, flight details and the weather, as well as setting alarms, looking up news or places of interests like restaurants, similar to Google Now. 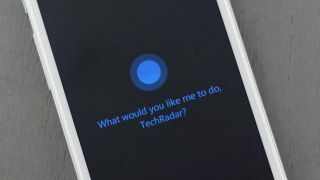 Currently, however, toggling settings, opening apps or using voice commands through Cortana are only available on Windows, though Microsoft says it is working on bringing these features to Android eventually. The Cortana for Android beta is free and available to anyone that wants to give Microsoft virtual assistant a try. You'll need to head over to the Google Play store to download the Cortana for Android app first, after which Microsoft says you'll receive an update with the beta version. The beta is only available in the US right now, but it will roll out to other regions. If after you've given it a try and no longer want to use it, you can leave the beta by simply uninstalling the beta version from your Android device.